In this unique memoir, naturalist Sy Montgomery focuses each chapter on a different creature and the impact they have had on her life. 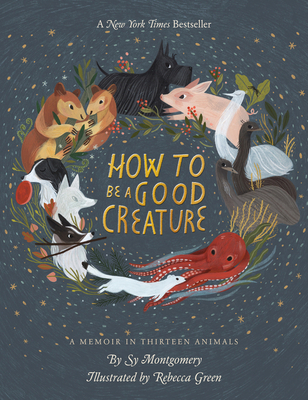 Full of insight and meaningful encounters, this book opens our hearts to understanding and feeling empathy for animals ranging from dogs to tarantulas. It is a special read that could teach us a lot about human relationships while focusing on non human ones. A great gift for the animal lover in your life!